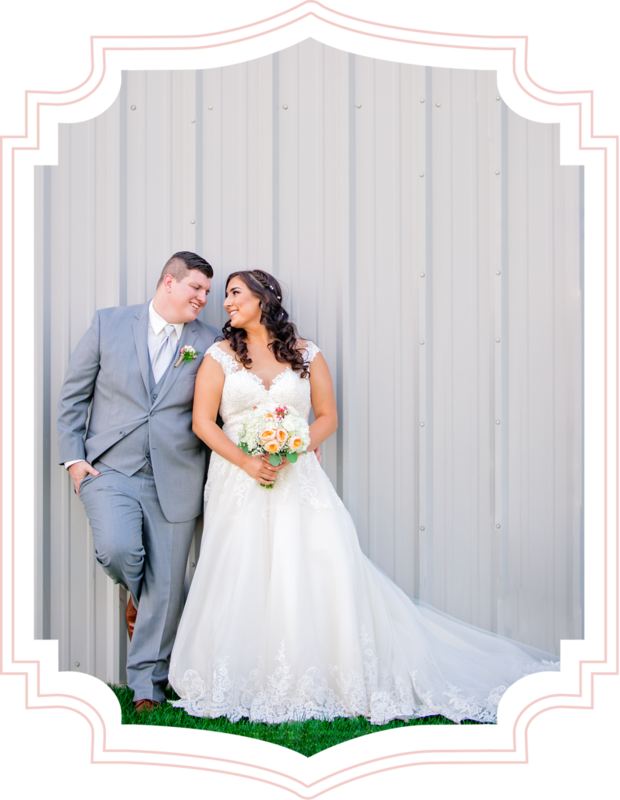 "I am so glad I booked Ashley as our wedding photographer! Her and her husband Tyler were so easy to work with and were such a pleasure to be around on my wedding day. Her pricing and packages are really a great deal ... Ashley is truly an artist and she has an eye for things that regular folks just can't see. I gave her full creative control over all the pictures she got and I'm glad I did! I can't wait to see my full album... there wasn't much dancing and partying at the end...Instead of sitting around because nothing was happening, Ashley was actively searching out more things to shoot in the downtime...She was so good at being efficient with the time we had and kept me on schedule all day. Ashley, I can't thank you enough!" 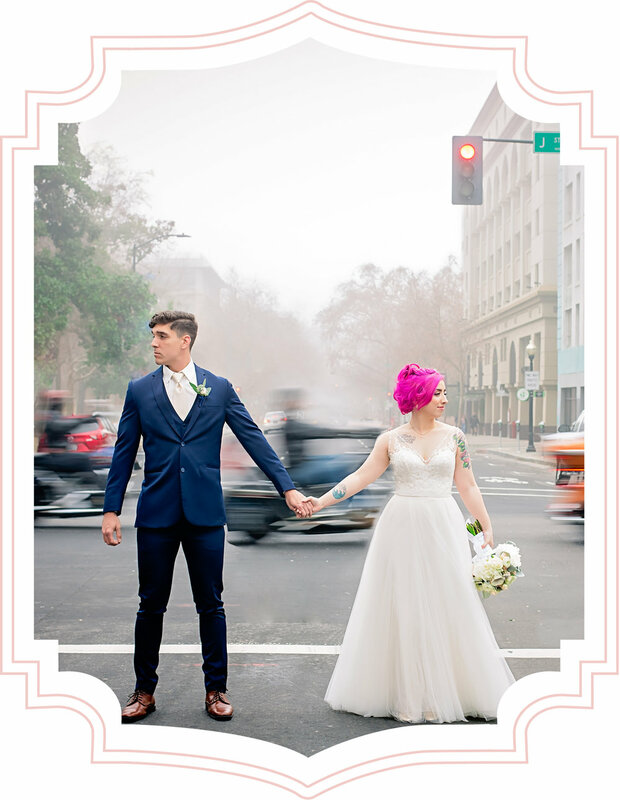 "Ashley was recently my wedding photographer and she is amazing! From booking onward, she was always available whenever I had a question. She was also very accommodating to us when we took our engagement photos because we wanted two particular locations in two very different settings. She made the shoot so fun and got us all our photos back within just a few weeks! On our wedding day, she arrived on time and immediately started taking photos. She also brought a team of two other people who were capturing the day as well and were very helpful with whatever I wanted and needed! ... Ashley has an eye for detail and knows the perfect shots! If you're looking for a wedding photographer, I highly recommend her!" "Ashley was our Engagement, Boudoir AND wedding photographer. She was absolutely a joy to work with on all three occasions. During our engagement pictures we had our one year old with us and she was so patient and sweet with her. The photos came out AMAZING and we were excited to get them printed on canvas for our big day. A few months later I booked her for a secret boudoir photoshoot for my fiancé. Needless to say I was extremely nervous and kept giving it second thoughts. She assured me it will be tasteful and worth it. When I was there, Ashley and her make-up/hair staff made me feel so comfortable! By the end of the shoot my confidence was sky high! The pictures turned out VERY tasteful and stunning! I never thought I could look that way! THEN comes the big day. Poor Ashley was suffering from walking pneumonia and barely had a voice. She was there in the highest of sprits and was sure to bring along a THIRD assistant to help when her sickness got the best of her. I NEVER once saw her slow down or give up on us ... LAST, but not least. Ashley reached out to me to grab lunch and said she had a gift she wanted to give to me. We met up and had great laughs and conversation! When she gave me my gift I was absolutely brought to tears.. like ugly crying tears. She got in touch with my sister who sent her photos of me father who I lost to diabetes 4 years ago. She edited him into a photo of my mom and I staring into a mirror together so perfectly that it felt like he was really there. The saddest realization with my wedding was that I would never have a photo with my father. Ashley made that a reality I never thought I would have. I've cried looking at it all day today. THANK YOU ASHLEY TEASLEY for making the impossible, possible. "Ashley is too good to be true! A month before my wedding, I was in a bind to find a photographer.i reached out to Ashley hoping for a miracle, and so be it, my wish was granted. On such a short noticed she was able to get all of my ideas and logistics.i felt as if I booked her a year ago. Since my wedding was farther, she even arrived earlier to see what shots she could get. She was able to get all the shots I wanted and more! Her and her husband make a great team, half of the time during the reception, I did not even know they were there! They truly capture your special moments with ease. She was even able to herd the groomsmen, which I know was not an easy task! She is professional in her deadlines and the quality of pictures is amazing. I am so happy I found her and I can't wait for our one year anniversary photos."